If there is something that is growing at an exponential rate in the world, then it is the evolution and development of technology. With each passing day, the research and development sectors of every field are coming up with newer technologies meant to benefit the people at large. Likewise, in other fields, motorcycle helmet technology is also growing at a rapid rate and in the current era, the different types of technology used on the bike to bike communications are quite affordable and user-friendly. 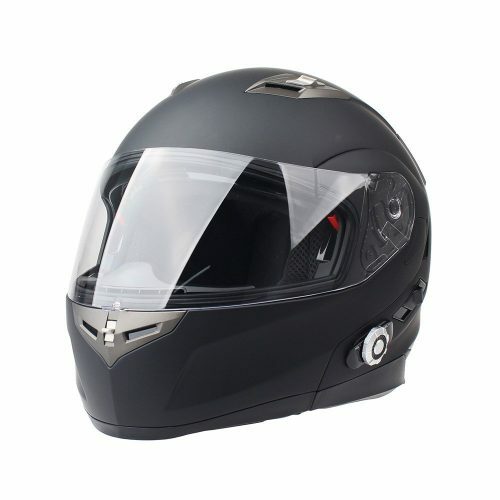 Bluetooth motorcycle helmets are your regular helmets with all the important features and a communication system. The use of bluetooth technology in helmets can be seen in almost all different types and kinds of helmets, thereby rewarding the riders with a more peace of mind and accessibility while riding. 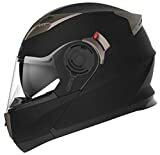 Our list of the best bluetooth motorcycle helmets in 2019 will give you a clear picture of the finest models you can choose from that can serve all your purposes with ease. You don’t want the wind to restrict you from enjoying a speed ride and hence, the aerodynamic design on the IV2 ensures you a smoother ride and also reduces those wind noises you can experience at higher speeds. 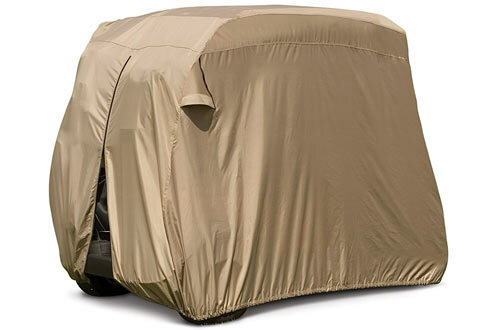 It also features a quick release buckle and easy to open air vents assure air circulation inside. 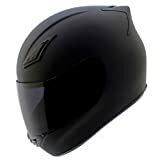 Moreover, the Fiber Reinforced Thermal Plastic Composite Shell built with a clear outer shield and an inner smoked sun shield offers top-notch longevity and functionality to the helmet. Fmvss-218 is a guaranteed safety standard on a helmet and the DK 120 from the house of GDM meets those standards quite efficiently. It is constructed of advanced lightweight composite poly-alloy and designed keeping the aerodynamics in mind so that you have the best of safety, a smooth ride and an easy journey every single time. Furthermore, on the inner side, you will get liner and cheek pads that are made of hypo-allergenic nylon to give you a comfortable feeling every time you put it on. It also has a compound-curved design with an optically perfect side face shield and a scratch less material for a premium experience. 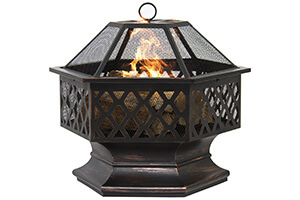 To make it a desirable piece, it comes with seven ventilation points. 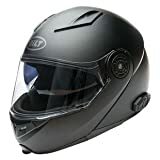 The professional grade helmet with a fantastic design and exciting features to suit all kinds of riders from YEMA Helmets is certainly a very good product for adventurists and everyday riders. 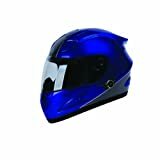 With a unisex design, dual visors and a double D-ring buckle system which readily improves the functionality of this helmet; it assures durability as the shell is made of aerodynamic ABS. The advanced ventilation systems with intake and exhaust vents that can be adjusted make every ride a more comfortable one. Plus, the fully removable as well as washable inner liner helps you keep in the interior nice, odour free and clean forever. It also features an extra space for storing your glasses and bluetooth speakers and meets all safety standards of fmvss -218. 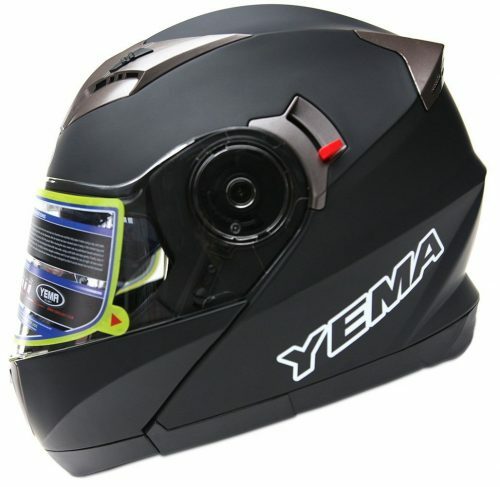 One of the fanciest looking helmets to choose from, the YM 925 from YEMA Helmets is equally good at functionality as well as durability. The DOT FMVSS-218 standard certified design ensures a safer ride every time you step on your motorcycle. It comes with an aerodynamic ABS Shell besides multi-density EPS with dual visors to make every ride more fun and enticing. Furthermore, it has a top-notch ventilation system that lets you have total control of the air in-flow and have the comfort as per your wish. The inner liner is washable and can be detached when the need for cleaning so that you do not have to wear a greasy helmet always. The design and construction of the H-500 from Hawk are from premium grade materials and you can stay assured of superb ride comfort as well as safety. The injected molded shell ABS combined with multi-density EPS construction offers high-grade durability for long-term usage. 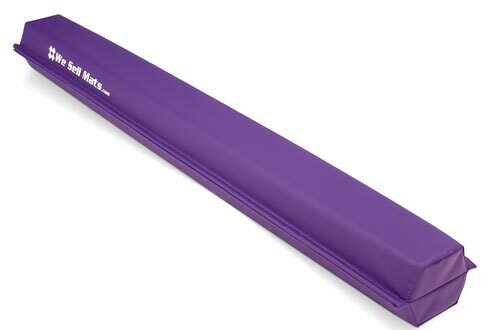 It also features a flow-through ventilation system that allows only a certain amount of wind to get in without making it uncomfortable for you. Furthermore, it has an anti-scratch and anti-fog wide view visor that readily improves the ride quality while wearing the helmet. 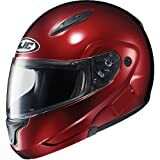 Made out of fine material, the helmet from HJC features an advanced polycarbonate composite shell construction to provide supreme long-lastingness and safety. It also has an inner lining made out of anti-bacterial bioceramic nylex which can be removed and washed whenever required. 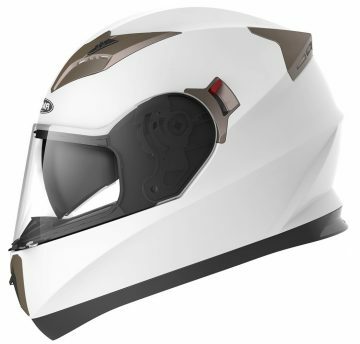 Besides being a sturdy helmet with the adjustable chin bar, it also has a face shield that offers the riders 95% UV Protection and comes with Ready for Bluetooth communications with the built-in recesses that supports Chatterbox XBi2. Also, the ACS or Advanced Channeling Ventilation System will keep a check on the airflow. The advanced ABS Shell on the TORC helmet is extremely lightweight but highly durable and protective. 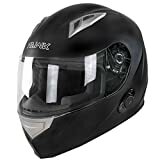 The clever design features forehead and chin vents that can be adjusted for better circulation of air and the quick release face shield is fog-free as well as scratch resistant. It has a Bluetooth 2.0 technology so that while you are on the go, receiving calls or listening to GPS directions and music will never be an issue. Besides, it is totally at par with DOT and FCC safety standards and can also create communication between two riders 100 feet apart. All you need to do is combine two Blinc enabled helmets and enjoy the fun ride. 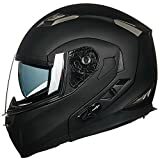 The standout feature on this helmet is that it is at least 20% smaller than most of the helmets in the market but provides better protection on the go. Even better, the helmet also has intake venting technology with superb Venturi venting for the rear exhaust issues. For the front chin bar, it has the one-button release mechanism that makes your life easy while you are riding and the Bluetooth 2.0 technology works like wonder. Take no stress in receiving or making calls and even clearly listen to the directions on the GPS. It is undoubtedly one of the best in the lot that has all the advanced features and also rewards the rider with excellent durability, reliability and functionality. 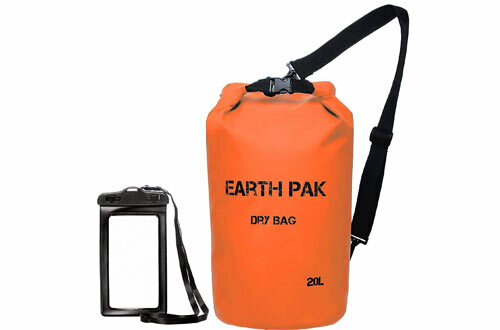 The construction is out of hi-tech injection molded shell of polycarbonate and the design features internal drop-down sun shield with a quick release clear locking shield. 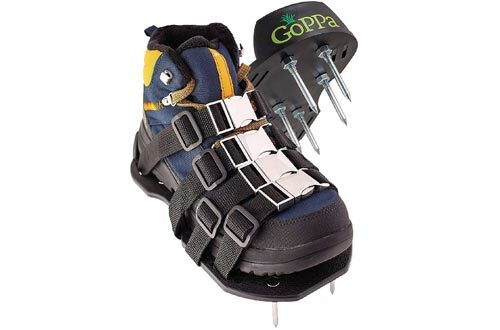 Furthermore, it also has chin mounted air-flow ventilation that can be opened and closed as per requirement. You can also remove the inner lining whenever you want to clean it for making it fresh and odour free. As it sits in the numero uno position, you can expect it to boost all the latest features that are available. Firstly, it has a Bluetooth 3.0 connectivity that pairs up fast with cell phones, speakers and also GPS system. Secondly, it has a sophisticated engineering with an ABS lightweight shell construction and very advanced ventilation system for a safer and comfortable ride. Moreover, it has a built-in Bluetooth intercom that allows you to stay connected with two other people within a range of 500m. 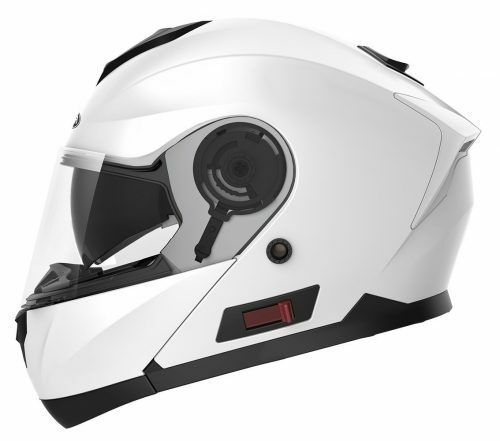 The best thing about the Fredconn helmet is that it rewards full duplex benefits where you can have group talk, enjoy music and directions from GPS while riding in full duplex mode. Truly a wonderful piece if you are looking for a helmet with premium features. 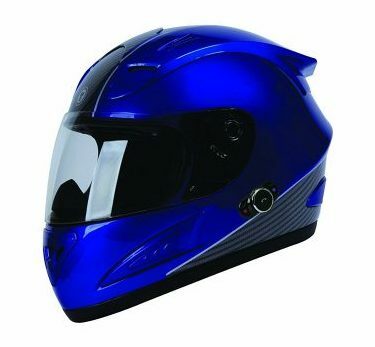 Keeping the rising demands of technologically advanced helmets in the market, Bluetooth motor helmets were made. 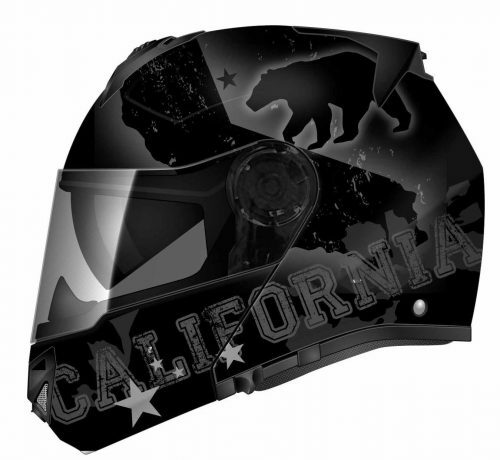 Have the sturdiest design and built with advanced features and great comfort, you can obtain your desirable helmet. Hence, choose the one that serves your purpose the best.